The execution of slipform job requires a complete and detailed preparation as many simultaneous and successive operations are involved. The method of construction, preparation of scheme drawings, calculating the requirement of slipform materials, equipment's, tools & tackles, consumable, manpower etc needs thorough planning. It also involve mix design, admixtures to be added for the concrete, reinforcement around openings and planning for other related works on the slipformed structure. Work involved in intermediate floors, if any. The number of yokes for each silo is calculated based on the diameter of the silo. The yoke to yoke distance is normally kept between 1.25 and 1.35 m.Once the number of yokes required is calculated the list of materials can be prepared from the master list. The requirement of jack rods depends on the height of structure. Always keep 5% extra material as spare. The length of yoke beams = Wall thickness + 1000 mm. Normally 2 Nos. Yoke beams at the bottom and 1 at the top are fixed. Wherever yokes are used for supporting some lifting arrangements, there the top yoke beams also shall be 2 no back to back. Note:- Jack shall not be loaded more than 80% of its capacity. 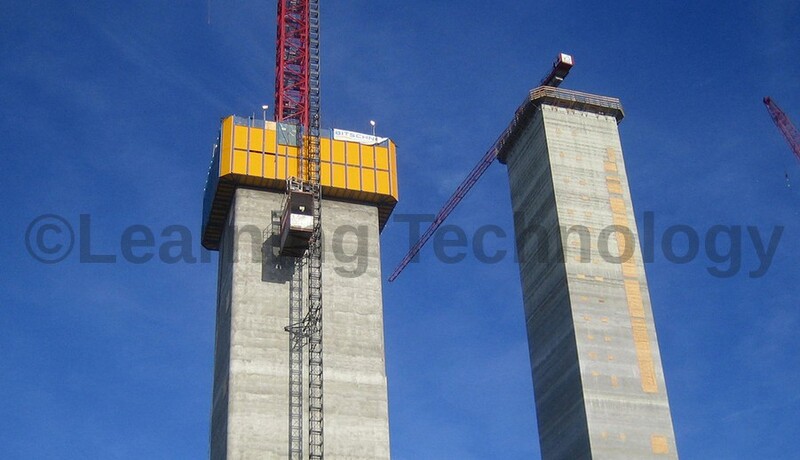 The quantity of concrete required per meter height should be calculated first. The slipping speed can be assumed based on the quantity of concrete ,reinforcement, pre-stressing and other related items. Rate of rise depends on the above and setting time of concrete. Once the slipping speed is assumed the concrete requirement per shift can be calculated. Once the quantity per shift is known, with 25% spare capacity, the size and number of mixing and lifting equipment shall be decided. The standard list of consumable is given along with master material list. The quantity of electrodes, gas, grease, oil etc. can be given approximately. Thewire rope required for hoisting to be calculated separately based on height of the structure. The requirement of timber is for the following areas. b) Wooden planks 6” x 1½” x 6’ long. The requirement of labour for various activities can be calculated based on the productivity norms, site conditions and type of structure. It is preferable to engage one single agency for the entire slipform works in a project to have better control over productivity and also optimum use of workmen with multi skill.